As a state legislator, Madeleine Dean has built a reputation for getting things done while always maintaining a respectful dialogue with constituents and colleagues. 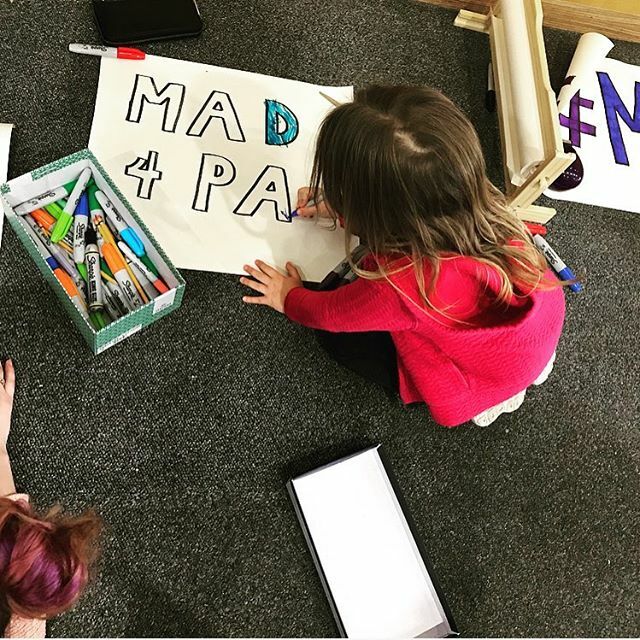 After the Sandy Hook shooting, Madeleine formed the PA SAFE Caucus, a bi-partisan group of legislators dedicated to ending gun violence and saving lives. We need Madeleine to be our voice. After many years in the private sector, Madeleine stepped up to represent us in the state legislature and is the best candidate to serve us in Congress. Democracy is moved forward through grass-roots efforts that hold their elected leaders accountable. With your help, we can move Pennsylvania in the right direction! Help send Mad to Congress! RT @tribelaw: House Judiciary Committee member @mad4pa: “We can’t sit on our hands just because the Senate is sitting on theirs.” Exactly. Happy Earth day! The environment is such a priority for today and future generations to come. Happy Spring! Happy Easter! Happy Passover! Wishing everyone a peaceful weekend with friends and family. It’s National Sibling Day! Grateful for all the support, love and fun with each and every one of the Dean crew—yes, I’m #7! 51 years ago today, we lost a true American hero. We must never lose sight of his vision for justice and equality. Congratulations to senator elect Pam Iovino! You will do great things for the people of SD37 and on behalf of all Pennsylvanians. Great work by the SDCC leadership, volunteers, and countless others who helped to GOTV in this special election! Happy World Water Day! Clean water is a constitutional right in my home state of Pennsylvania. However, across the country, at least 16 million people in 33 states and Puerto Rico are drinking contaminated water. That’s why I helped launch Congress’s new PFAS Task Force to address drinking water contamination across the nation.